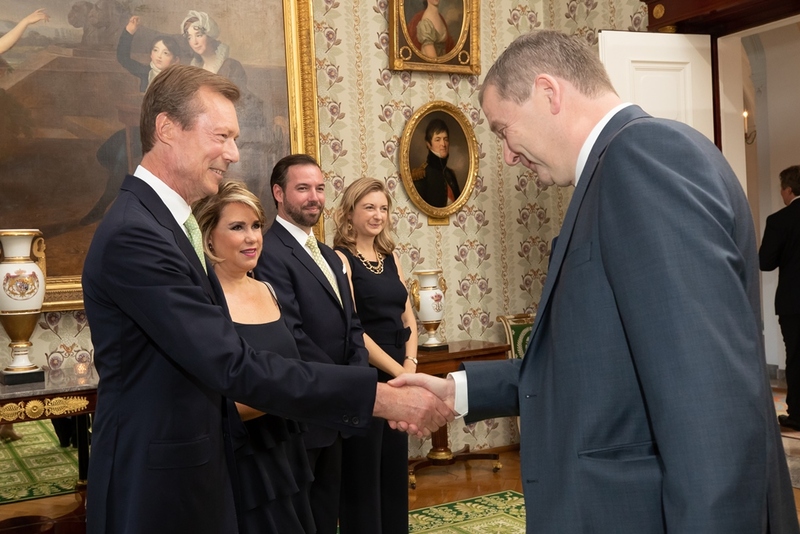 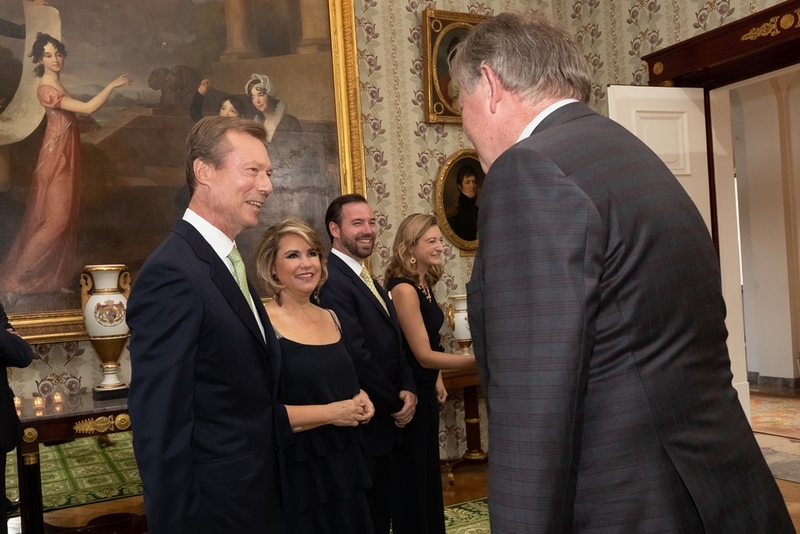 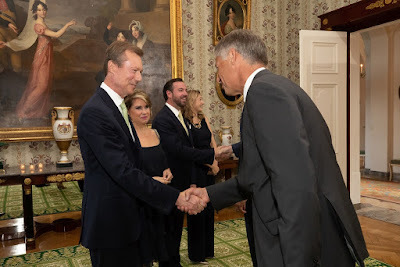 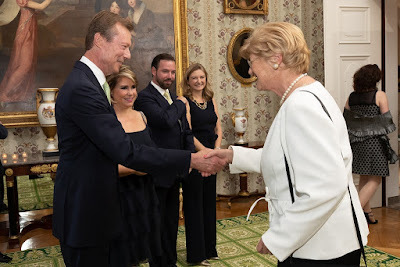 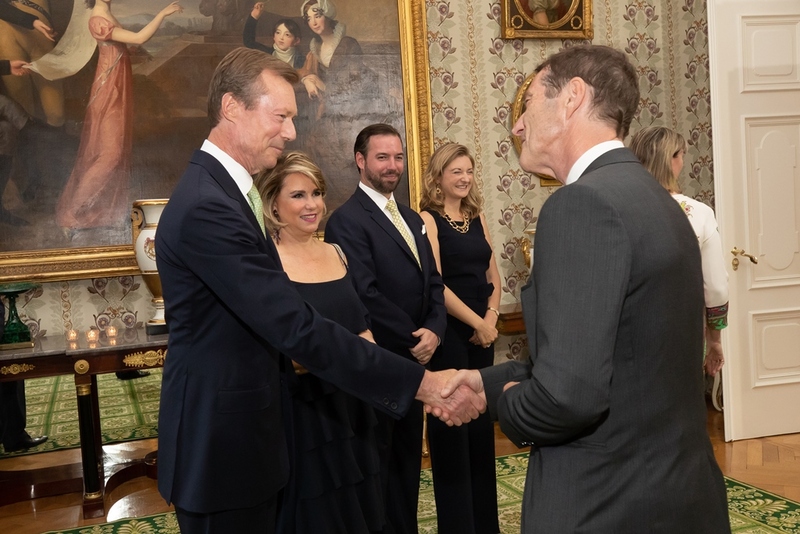 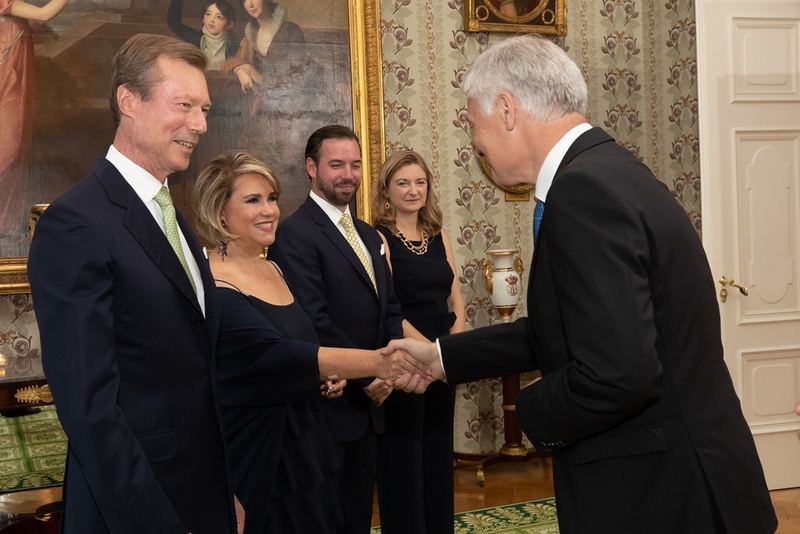 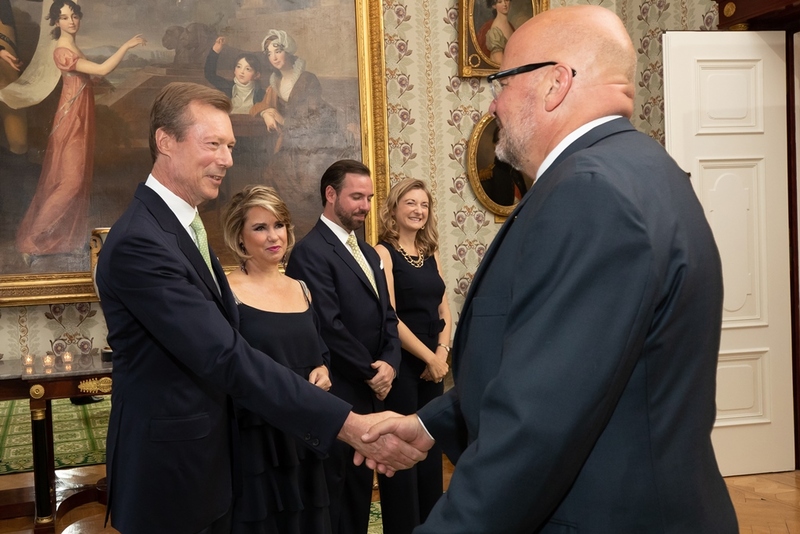 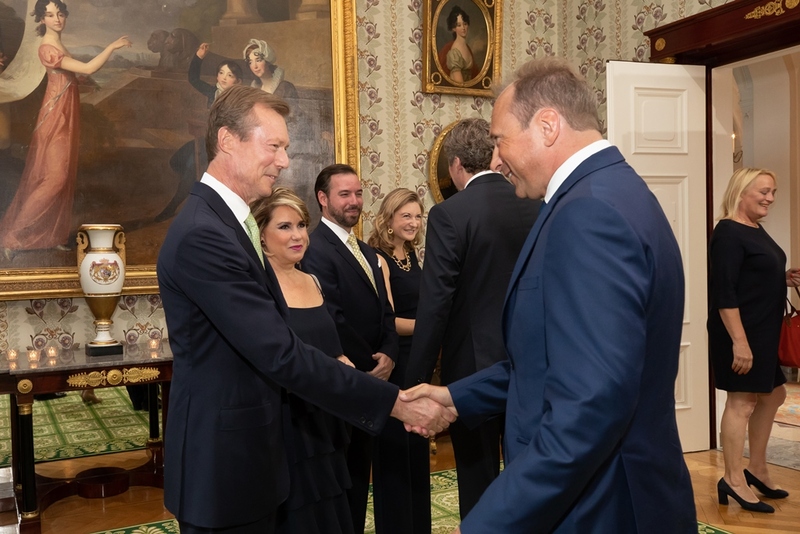 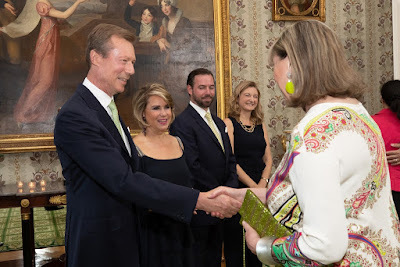 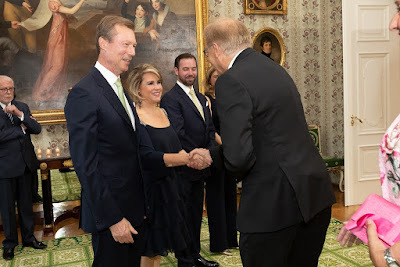 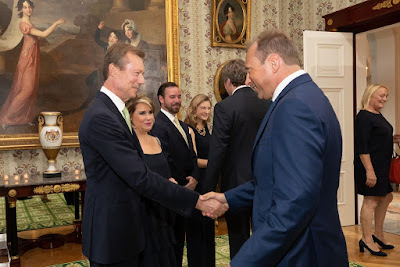 This evening, Grand Duke Henri and Grand Duchess Maria Teresa hosted the Grand Duchy's Chamber of Deputies for a dinner at Château de Berg. 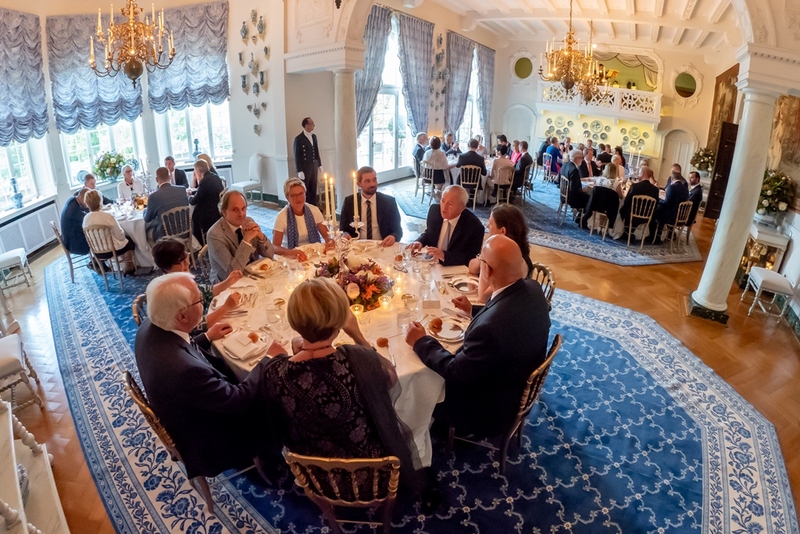 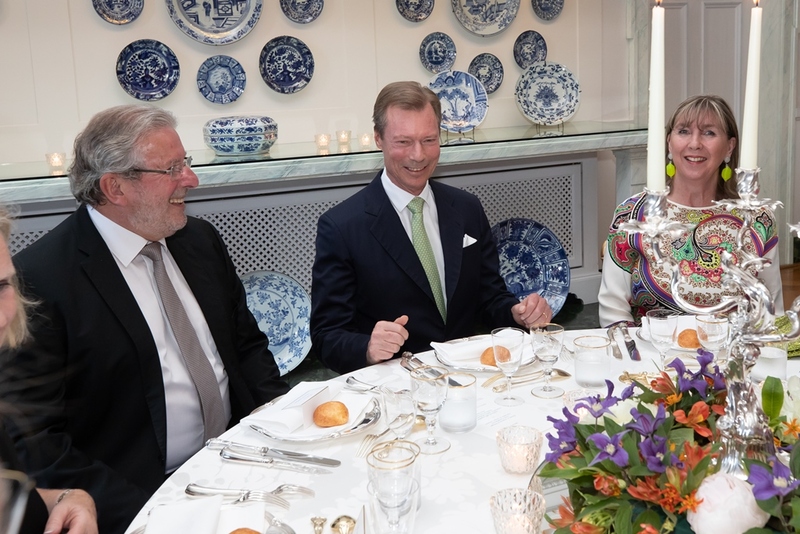 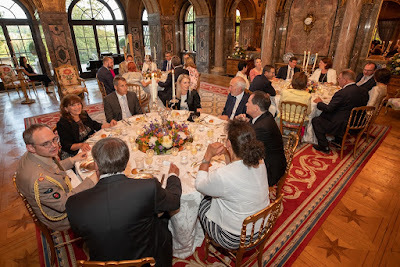 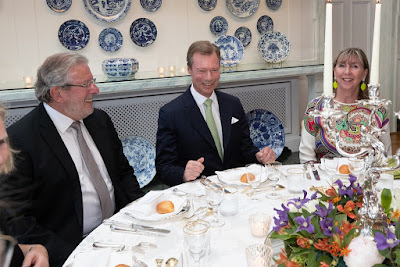 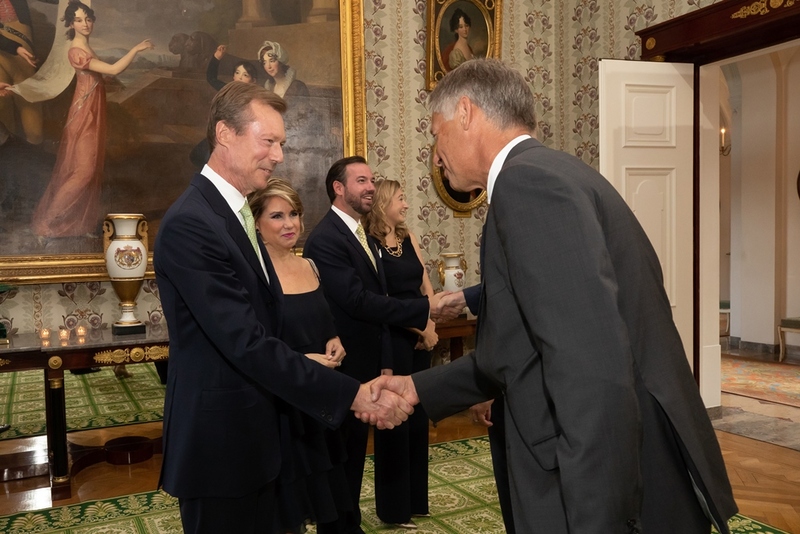 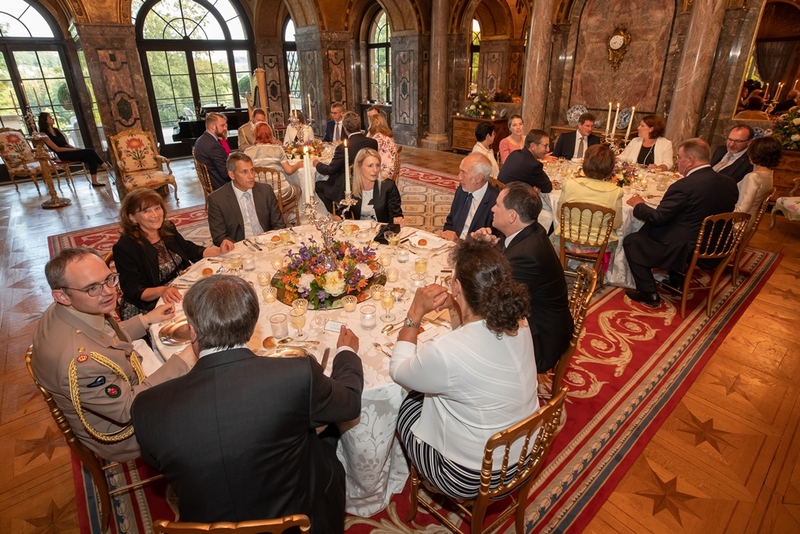 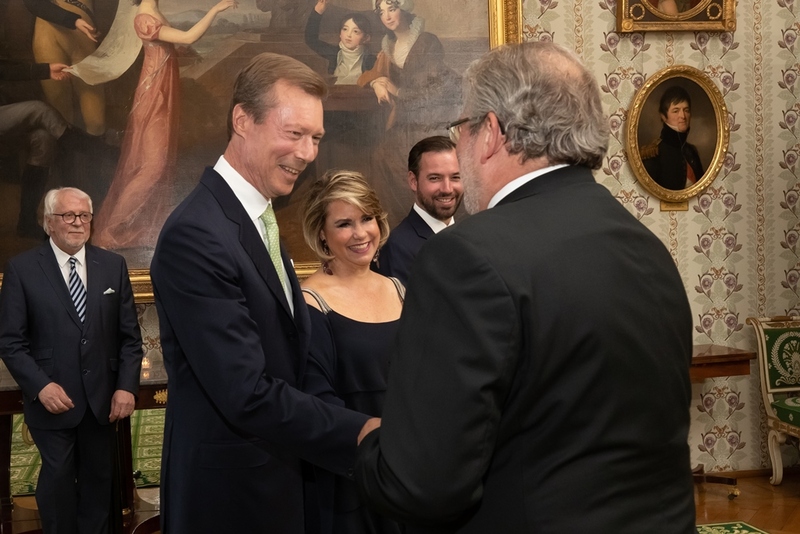 These institutional dinners take place a few times a year to give the members of the Grand Ducal Family and their country's highest politicians a chance to catch up and for an exchange of views. 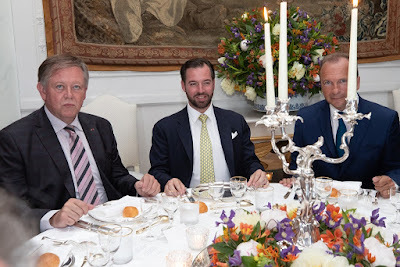 The members of parliament were welcomed in the Salle «Je Maintiendrai» before proceeding to the dining room for - exactly - the dinner. 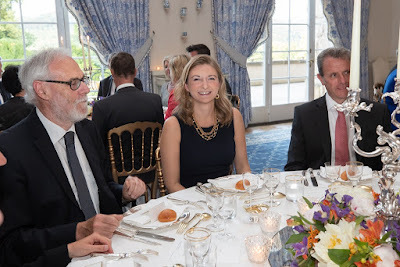 Hereditary Grand Duke Guillaume and Hereditary Grand Duchess Stéphanie were also in attendance for the event.